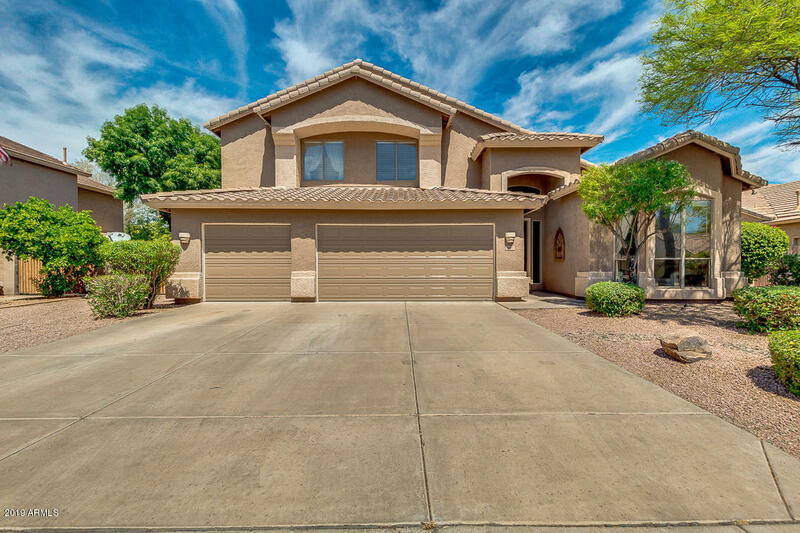 All HOLLIDAY FARMS homes currently listed for sale in Gilbert as of 04/22/2019 are shown below. You can change the search criteria at any time by pressing the 'Change Search' button below. "Highly sought after area in Gilbert! 4bed, 3bath plus a loft in a 3,000/sqft home. Located on a large cul-de-sac lot with north/south exposure. Tall soaring ceilings open up to the family room and kitchen areas. Huge granite island in the kitchen with plenty of room for barstools. Loft area upstairs currently used as a craft room. Spacious master bedroom and bath. 3 large guest bedrooms upstairs. New AC units and new water heater. Expanded patio cover runs almost the entire back of the hom"